Basics: How does Visibook work? Simple! 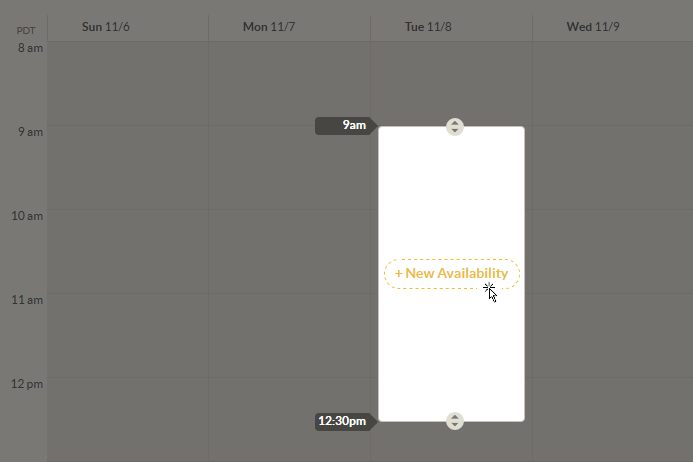 Online scheduling with Visibook works in 3 steps. 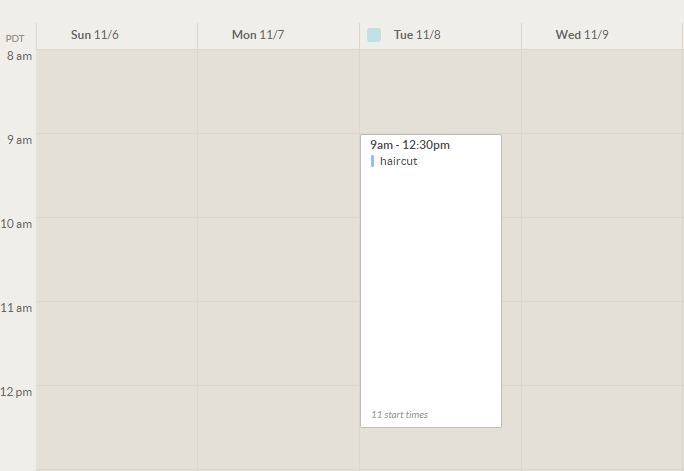 Click anywhere on your calendar to start creating a range of time when you're available. 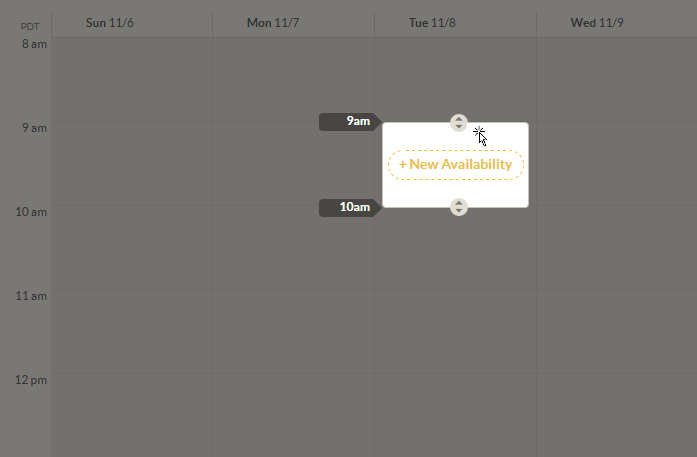 Drag the handles to resize the range of time for when you want to be available, then click "+ New Availability"
Follow the steps to specify which services. Now your customers can book you!